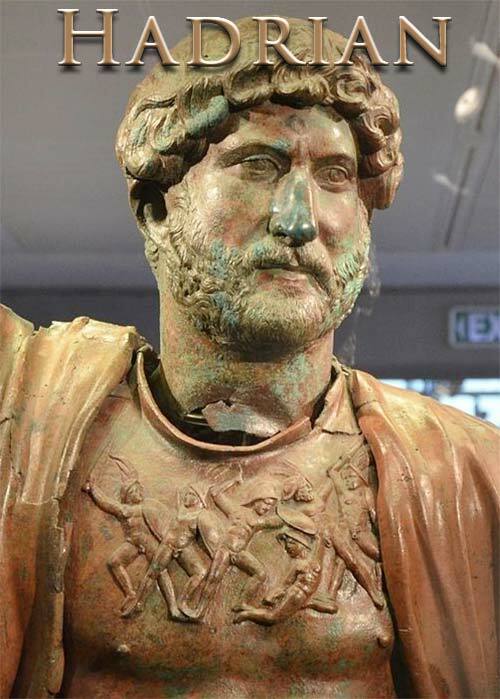 Hadrian was named as third of the "Five Good Emperors". He was born in Rome in 76 A.D., his parents were Spaniards, and Hadrian was a relative of Trajan. 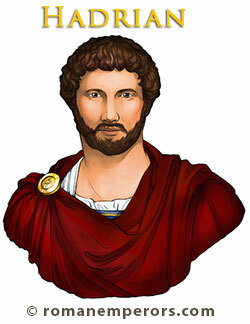 Hadrian was very interested in the Greek culture, he also loved to travel, and was a devoted builder. 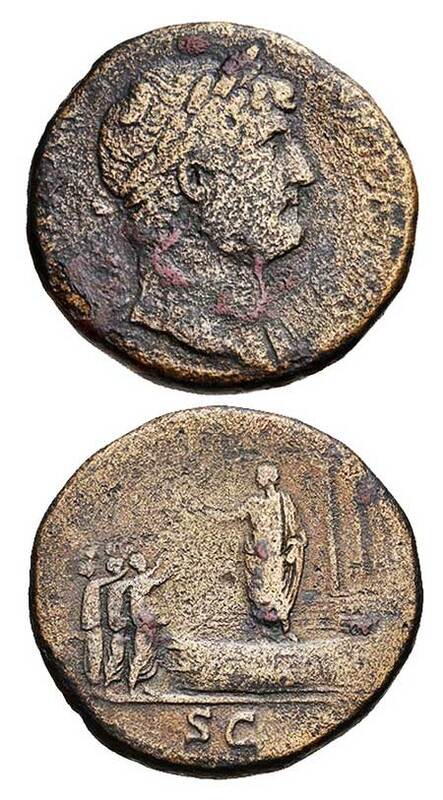 When he became Emperor he avoided any further hostilities in the newly Roman territories of Armenia and Mesopotamia. He was very wise to abandon the eastern part of the Roman Empire, and make the border the Euphrates River. Hadrian would rather focus on his empire. He traveled throughout nearly all the provinces to understand them more fully, and utilize funds wherever needed. In the western portion he built the famous "Hadrian's Wall" between England and Scotland in 122 A.D. He also rebuilt the Pantheon in Rome, which was originally built by Agrippa in 27 B.C. but was struck by lightning. He also built a beautiful villa at Tibur (Tivoli) with decorated reliefs of scenes from his journeys throughout the provinces. He also erected his own elaborate tomb near the Tiber, the great circular mausoleum where he was buried, which is known today as Castel San Angelo. Just a glance at some of his building projects reveals evidence of so much wealth and prosperity during his lifetime. He encouraged education and art, and was determined to revive Greece and Rome's past glories. When Hadrian came to the land of Judea in 130 A.D. he saw the decimation of Jerusalem, and he established and beautified a new city, he named it "Aelia Capitolina" after his family name Aelius, and the three Capitoline gods Jupiter, Juno, and Minerva. He also erected a temple to Jupiter on the site of the Second Temple, according to the Greek historian Dio Cassius*. The Jews were outraged and the Second Great Jewish War against Rome broke out, known as the Great Jewish War of Bar Kochba. This was no small war according to Dio Cassius*, and Hadrian had to call on his most trained generals to put down the revolt. The war lasted from 131-135 A.D. Three years after the Jewish War Hadrian died at a city near Naples in 138 A.D. at the age of 62.